Walt Disney Animation Studios released a teaser trailer the movie "Frozen" fans have been clamoring for since the original movie came out in 2013 -- "Frozen 2." The teaser strikes an oddly dark tone, with powerful ice queen Elsa (Idina Menzel) apparently struggling to get off an island, with the waves shattering ice paths she makes out of the water. The teaser finishes by promising a reunion with Elsa's sister, Anna (Kristen Bell), Kristoff (Jonathan Goff), Olaf (Josh Gad) and Sven. All have urgent, morose looks on their faces. 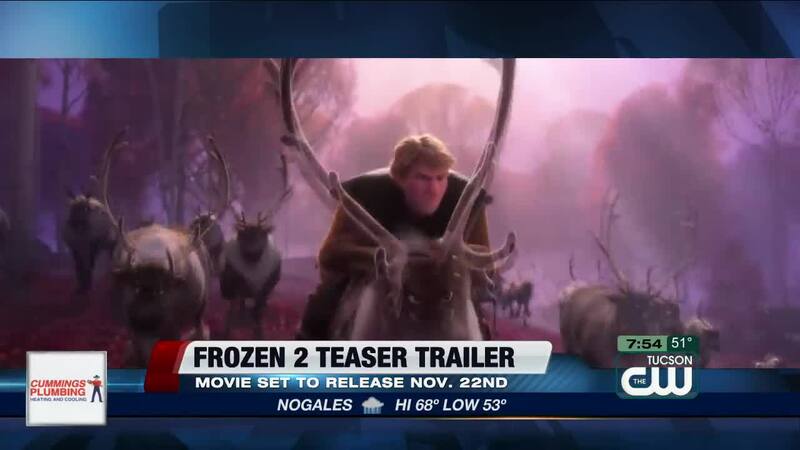 Humor has been a mainstay of the franchise, including the short films "Frozen Fever" (2015) and "Olaf's Frozen Adventure" (2017), but the teaser shows no hints of levity. The film is slated for release Nov. 22.